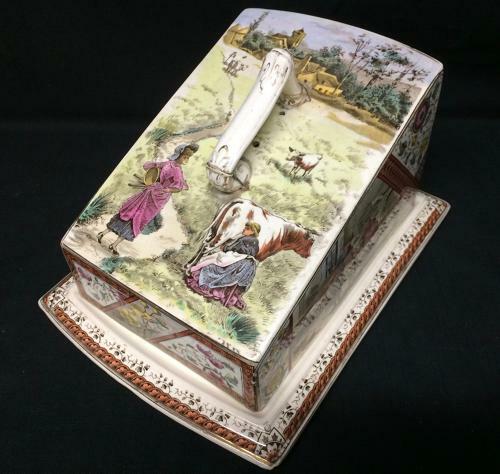 This large Victorian cheese keeper is transfer printed in brown with hints of superb artistic hand coloring under the glaze. Asymmetric designs complement the patterns of milking the cows, separating the whey and pressing the cheese. An extremely rare piece in never used condition. Has its dings and dents, thee chips to the underside not seen when upright and a century old wire staple repair to the handle.